Ya’ll….maybe you’ve heard, maybe you haven’t…but super trainer Shaun T is releasing a new workout next freaking month! AND Beachbody is rolling it out completely different than any program before, and if you have access to onDemand, you will instantly have access to the program and launch. 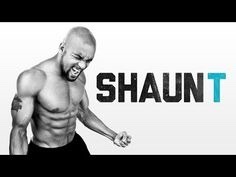 The program is called SHAUN T WEEK!!! 25 Abs: 25 minutes of abs that is bound to get us ripped! Speed 4.0: Speed workout similar to what you did in T25 Speed 1.0 and 2.0…..but 4.0. Yeah, you know that that means! AND it won’t stop at the end of those 7 days. There is a lot more in store for you after that, don’t you worry! As always, there will be a modifier, so any fitness level can join in! If you don’t have access to onDemand yet shoot me a message at gmbfitlife@gmail.com and we’ll get you hooked up! !